I just updatet my cgminer.exe with this version. Now I get around 12MHS (6.4MHS before). Sapphire Radeon HD 7870 XT Boost. Memory clock: 825 MHz (underclocked), default: 1500 MHz. This is more effective, less power consumption and no speed drop! 160 Watt @ 53°C – with this mods . No speed limitations at mining and working, compared to standard values. 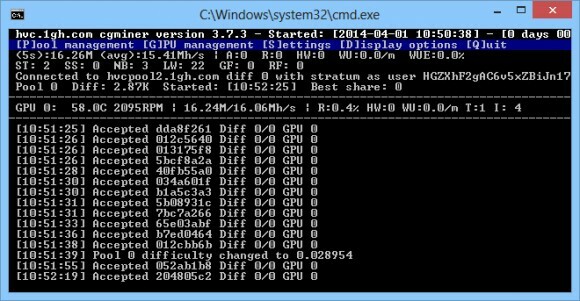 Undervolting and underclocking is done with SAPPHIRE TriXX Utility.